Let me introduce Thor Kah Hoong. He is my dad's friend, the owner of 'Skoob Books' bookshop, a writer, an actor, director, and playwright. He may have many other talents that I am not aware of. I've always known him as Uncle Thor (I suppose we'll call him Thor in this blogpost, otherwise it'd be weird). When I was little I was always dragged by my dad almost every week to Thor's bookshop which looks like a unique library overpacked with books, like the ones you see in movies. Remember that this was before the existence of mega-book shops like Kinokuniya. The shop sold rare books which was not available at conventional bookshops and I only found out much later that the books were shipped from Skoob books UK. That was why my dad loved to go to his shop. I followed my dad when the shop was at Bangsar, and later when it relocated to Brickfields. So every week I had to tag along with my dad as he bought lots and lots of books at Thor's bookshop. I recall that while waiting for dad to finish his stuffs, I'd just grab a book and either read or look at those with pictures or just walk around and get lost while browsing the titles of the thousands of books on the bespoked shelves. So when my dad informed me at the last minute that there was a play at the Actors Studio last Sunday directed and performed by Thor I dropped all other plans I had in mind to spend my Sunday to go watch it (almost) straight after I finished a book discussion at Kinokuniya. The mention of his name brought back my childhood memories and my recollection of spending time in his big, cozy bookshop. I was so excited to watch his play. I also met Ike Ong, the owner of Skoob books UK who is also a film-maker, together his wife. He also knew me since I was small and he actually made an interesting remark that I was always interested in movies and film-making. Now I really can't remember why he would say that. Maybe because he saw that I was interested in films when I was younger and I still am now. 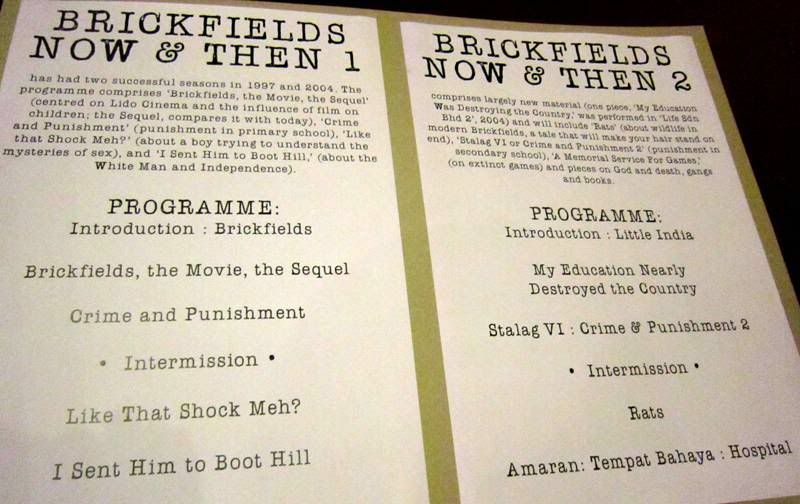 Thor's play was called Brickfields Now & Then. I didn't read any synopsis or googled about it online before i watched it. So I didn't know what to expect or what it was about. 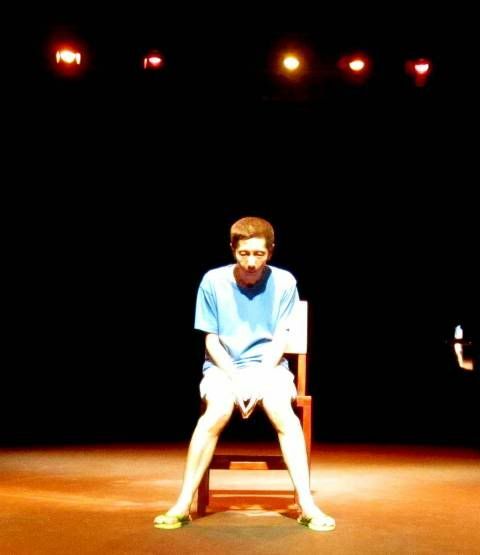 But then I found out that the play at night was part II of the show; Part I was done at 3 p.m. I felt disappointed to miss part I, even though I did not know about it. If I had known earlier, I would've tried to go the day before. Outside the theatre hall, there were plenty of reviews mostly on part I which made me even more disappointed to miss it. 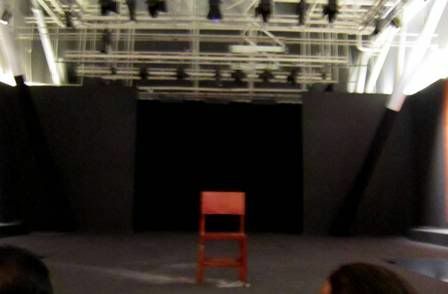 When I sat down, all that was on stage was a single chair. And then Thor came on stage. Now its hard for me to describe this play. It was something like a monologue of Thor's recollection and stories of Brickfields, the place where he grew up, and the changes he has seen throughout the years. How the area changed when Sentral was built nearby, the many proposals to transform Brickfields and how things remain the same even if they change. He starts of lamenting that Brickfields is now being 'pushed' as Little India, when according to his account it is a place where all races have made their home [In Introduction: Little India]. 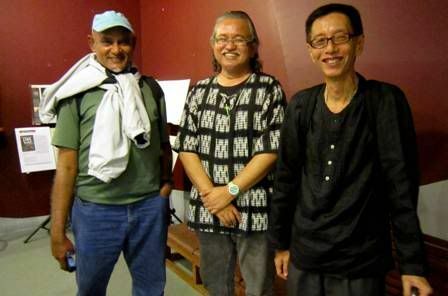 But his play was not a dry recollection of just Brickfields, but also the state of our country as well. He injected the happenings of important events in our country's developments with his own personal experiences of growing up at the time which was told to the audience in a hilarious manner. Thor was brilliant in making everyone laugh yet at the same time just as the laughter dies down, our brains starts to grasp at the subtle seriousness of the issues, then and some very much relevant now. Thor was very funny, not to mention very informative, sharing anecdotes from his personal perspective. 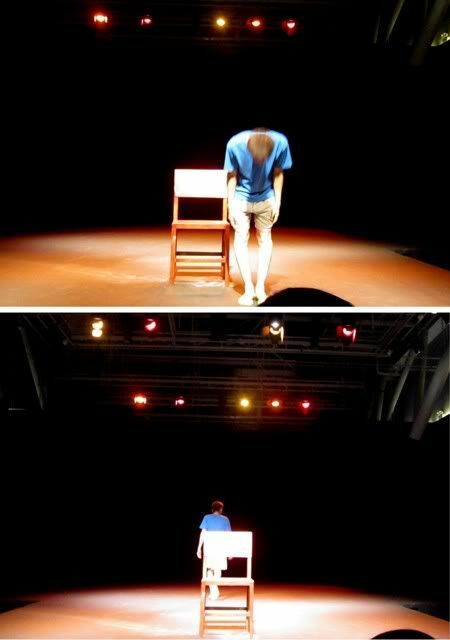 It was a very well polished and powerful performance and he had a very witty script. There is also something which gave his play and performance the edge, because it had a ring of sincerity and lots of doses of his personal touch when he was recollecting the events and happenings of things very dear to his heart. He kept the audience engaged and entertained throughout the whole 2 hours and 45 minutes-ish set. For example, can you imagine that every time he took his exams when he was growing up, a major national event happened, from his UPSR (can't remember what it was called) up to his masters? It coincided with the period of Konfrontasi with Indonesia, the May 13 events, Singapore 'divorce' with Malaysia, amongst others [My Education Nearly Destroyed the Country]. He also told us how the first play he directed won the national competition and how his play was banned and made him a security threat in Singapore! (Don't worry, he says Singapore has forgiven him already). 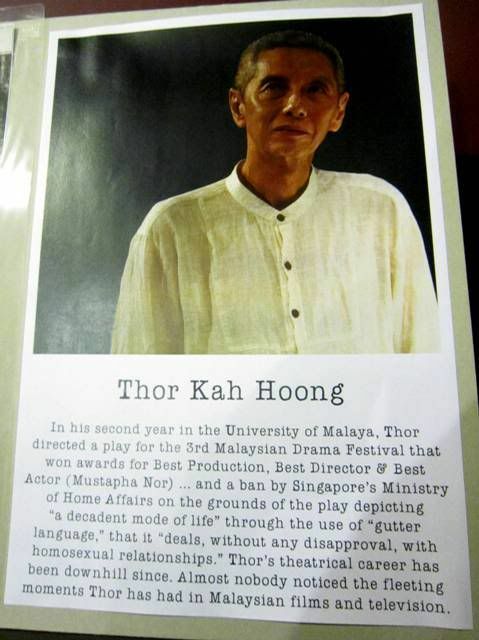 He was in the front page of Singaporean papers for his play for containing a single F word. This was a funny poke at Singapore's regulations and he was convinced that the authorities were out to get him. 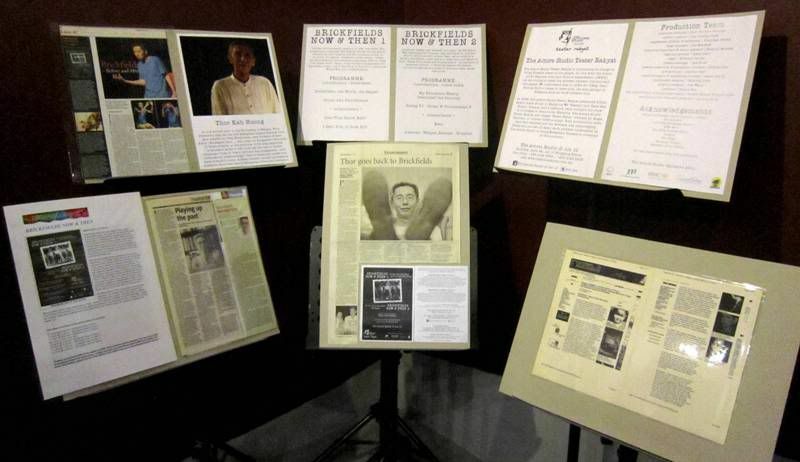 He was supposed to present Stalag VI: Crime & Punishment II, but changed his piece because some people in the audience asked him whether it was true that he was a security threat in Singapore. He also shared his biggest problem when moving his business to Brickfields: RATS [in, yes, Rats]. Thousands of them!! His very detailed stories of the rodents and especially the big-mama rat made my skin crawl okay!! He was very explicit in sharing how he got rid of the problem, and he apologized in advanced for the animal lovers in the audience. Yucks, but this was the one I laughed the most. 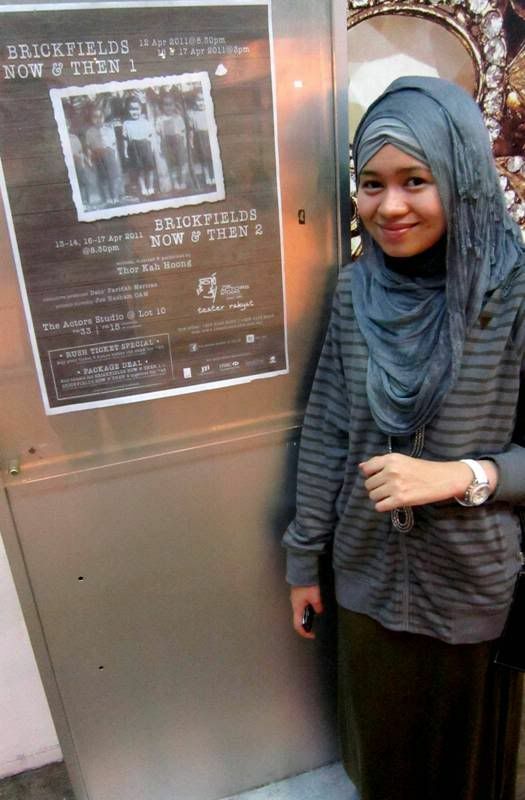 He also described Brickfields very vividly, making me wanting to go there and see it out for myself. 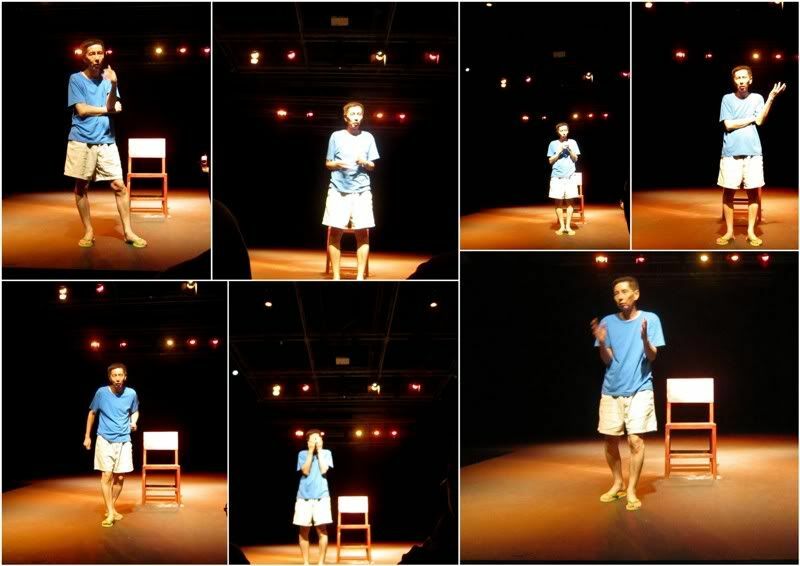 Lastly, his story on the state of our hospitals was funny, but yet at the same time was heartbreaking and touched the audience too [Amaran: Tempat Bahaya: Hospital]. He recollects the competence of our hospitals then and how he has suffered personally finding out the hard way he was allergic to penicillin, having a hose shoved up his.. uhmm, you know where, and how he lost his father because an un-named hospital said there was nothing wrong with him. We were all laughing before he told this story, and suddenly, just like that, everyone in the audience were silenced. It was heart-breaking. I really regret not being able to attend the first part, and the saddest thing is that last Sunday was his last performance for this run (he performed previously back in 1998 and 2004). I would have loved to see Part I, especially as Thor himself said it's even funnier than Part II!!! To console me, Thor did tell me that he is trying to publish his work by the end of this year. So I am looking forward to the book. The fact that a 60-ish year old can accurately go back and act out his world through the eyes of a ten year old, convincingly too, shows what a talented person Thor is at telling his stories and engaging his audience. This is definitely not to be missed if there is another run and I can't wait for this to show again. Hi there! I was just talking to James from La Mode Outre and he mentioned about a lovely girl in hijab that he photographed and I saw your picture on his site as well. I just wanted to say that I love how you wear your hijab, and it really goes to show that hijab women too have an awesome sense of style! nn : Macam mana dapat tau. 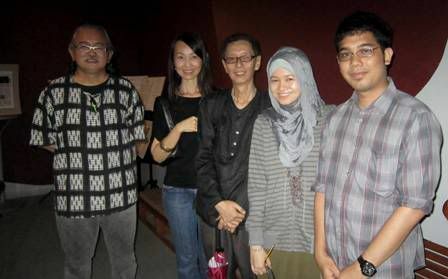 Best sangat the play. Takpe you can wait for the next one (hopefully) coz I puun miss the first part.